Ep 48: Do you need to burn it all down? A lesson in evolving. We’re so excited to talk to my dear friend, Ryann Holmes. Community activist, entrepreneur and culture curator. Ryann has worked and lived in Brooklyn since 2005, fighting for love, and the freedom of our people. 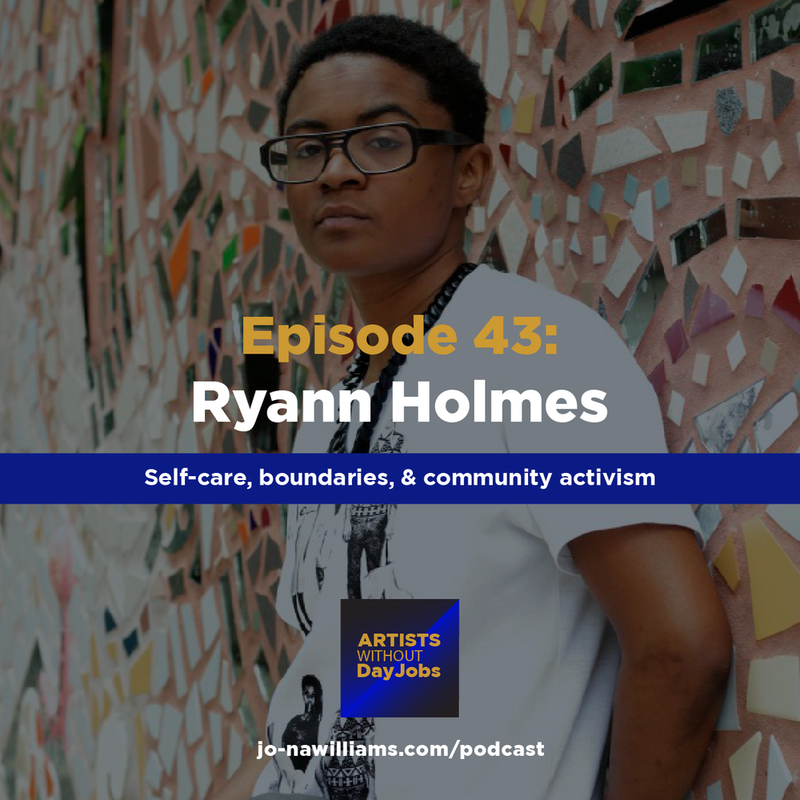 By cultivating creative spaces and supporting the economic development of the community, Ryann continues to dream and to create pathways of creativity, expression, beloved community, and love as wealth. So, in 2009, Ryann founded the bklyn boihood collective. As of today the collective has grown to four core members, based in Detroit, Miami, and Brooklyn, over 50,000 online followers, 6 calendars, annual parties, monthly gatherings, and a published anthology called Outside the XY. Ryann was voted one of Brooklyn Magazine’s top 100 cultural innovators. Ryann is also the co-founder of Lucid Haus, a music collective based in Brooklyn, featuring artists like Nappy Nina, Théo Mode, & Ria Boss. 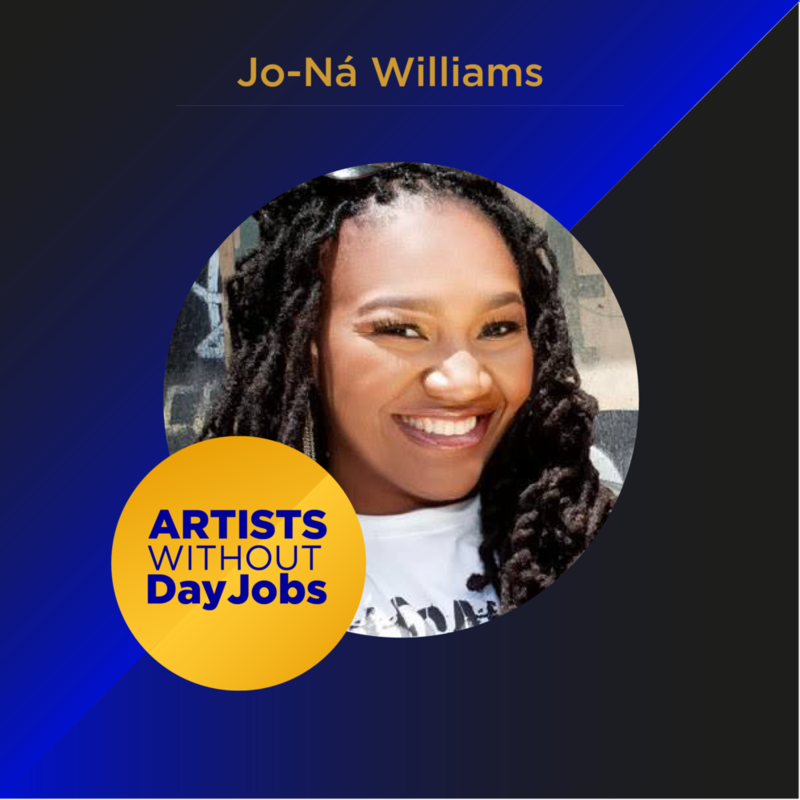 Ryann is also a music supervisor for “195 Lewis”, a boundary-breaking web series that explores the lives of queer women of color in Brooklyn, New York. Ryann has an MBA from Baruch College in Social Entrepreneurship. Ep 36: Strengthening your intuition with 3 simple exercises. Your intuition is the most powerful tool you have to navigate the world. Oftentimes we don't listen and have to learn our lessons the hard way. In this episode I give you some simple exercises to practice strengthening your ability to hear that voice and follow it's guidance so you can create more trust within yourself...and open to magic! You don't want to miss this beautiful episode. My dear friend Juliana Luna shares her story of growing up as a marginalized woman and carving her own unique path as a creative that has taken her all over the world...Hint: She traces her journey through her ancestry and sees how it all cosmically connects. Such an incredible story. The #1 Mistake That Can Shatter Your Business Success. I’ve had a coach since the moment I opened the doors of my law practice. It was 2011 when I started and I had a good friend whom I respected a lot invite me to come to an event that her coach was hosting. At the time, I think I had about $600 bucks in the bank. I gave $500 to her and signed up for her coaching program. It was a huge leap of faith. However, I trusted my friend and I was motivated enough to do the work. Now, my coach was tough. She didn’t take any excuses, she was highly motivated and her workaholism was like MUSIC to my ears (recovering addict right here!). However, she wasn’t in back pocket all the time. However you know what was? The community of other women she was supporting. My community. Those entrepreneurs became my lifeline. The women I asked for advice from. The women who GOT me. The women I partnered with in business. The women who were in the same boat in many ways but also brilliant in their fields. The women who gave me so much support, promoted me, gave me wild ideas (that became programs & products) and held space for me to grow in a safely. It was a Godsend and I will never forget that time. We became a sisterhood bound together in the battle against broke and broken-ness. Since then, I’ve never been without one. Quite often as a business owner; someone who’s putting your voice out in the world, you’re working alone. And if you’re an introvert (like most creative people tend to be) that isolation can be even worse. Now, I know that you may be thinking, “Oh Jo-Na I hear you but, I can do this by myself. I’ve got this. I’m good. Blah blah.” Let me tell you something, you can’t and if you try you’re setting yourself up for failure. You may be able to create your art alone but you can’t run your business alone, have an enriching life or grow as a human without community. You need people, a network, and a place to work through the perils of your life and running a business as a creative person. Entrepreneurship ain’t for the faint of heart and neither is your life. Athletes are on teams with a coach for a reason. They can’t win the game alone. It’s the #1 mistake you will encounter over and over again about why businesses fail...not having enough support. All the people you admire for their skill, their excellence and their impact have all had the support of their communities. Janelle Monae? She’s got it. Sir Richard Branson? He’s in it. It’s how we thrive as humans. However when you get one, make sure it’s the RIGHT community. One that is filled with people who support your ascension and see it as a reflection of their own. This can be in the form of a mastermind, a support group or whatever works for you. Now, if you’re interested in joining my Mastermind applications close next Tuesday, May 30th. This is a group of powerful, high-level creative women READY to make big changes in the world (starting with themselves). Yes we will work your business. Yes we will address what’s happening in your life. Yes you will get the momentum you desperately desire. If you’re ready, I encourage you to apply and if you’re the right fit, you will hear from me on the next steps. I put my heart and soul into working with them so if you’re ready for high-level 1:1 support and a community who’s ready to cheer, support and REALLY help you live the life you want and deserve, fill out the application here. We’re going there. Hope you join us. See you next week AND I’ll see you in Mastermind.